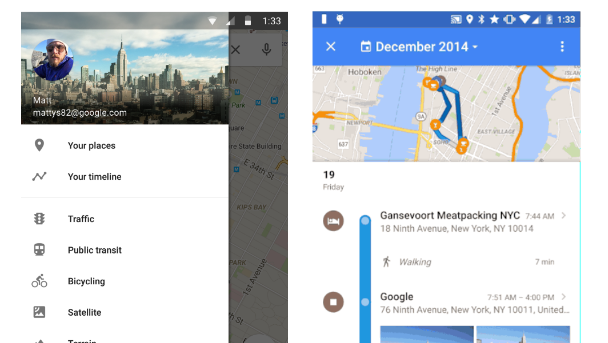 Google Maps Timeline is a feature that's rolling out on Android and deskop. If you've got Google's location history turned on (which you almost certainly will have) you can open Maps and see how your location is tracked in real time; go to the innocently-named Real-time routines option in the sidebar menu. In a desktop browser, go to Options > My Places > Your timeline.